— Being Genius Starts With A Decision. You have to decide not to be a victim anymore and take responsibility for your life. The past is over. How will you decide to live your life today? — Don’t Be Limited By Your Environment. The koi fish is known for growing to fit whatever environment it’s placed in. Many people live their lives the exact same way – allowing their environment to dictate their potential. Your environment can limit your potential, if you allow it to. — 3 P’s of Transformation. People You Interact With – The people you spend the most time with will shape your perspective. Perspective – When you change the places you go and the people you interact with to match the level of success you wish to achieve, your perspective of what’s possible for you will change as well. 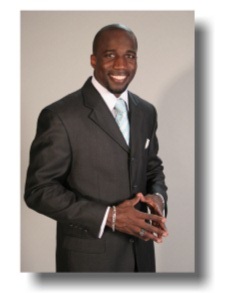 To learn more about Dr. Will Moreland or to purchase his new book, Genius Potential, please visit www.WillMoreland.com.